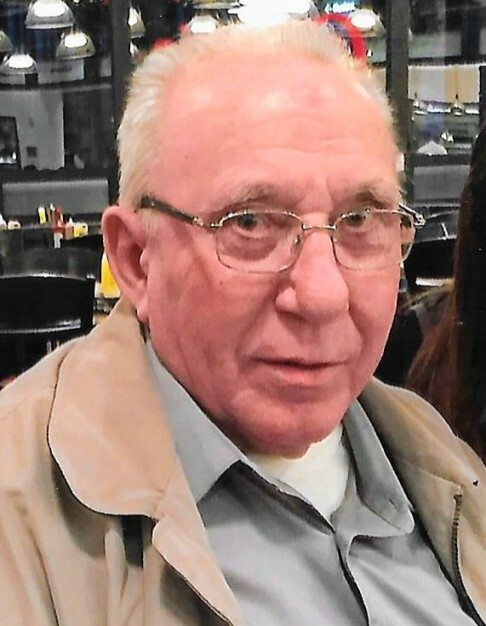 Mr. Piotr Ciesielski, 88, died Tuesday, March 26, 2019 in his home, surrounded by loved ones. Family and friends are invited to the visitation in the Kowalski Funeral Home, 515 Roselle Street, Linden on Friday, March 29th. from 3:00-8:00PM. On Saturday, March 30th. from 8:15-8:45AM everyone will gather in the funeral home where a prayer service will be held at 8:45AM, followed by the funeral mass to be offered in the St. Adalbert R.C. Church, Elizabeth at 10:00AM. The prayers of committal will precede his burial in the family plot in Mt. Calvary Cemetery in Linden. Mr. Ciesielski, the son of the late Maria Pazdalska Ciesielska and the late Kazimierz Ciesielski, was born in Krakow, Poland and on February 28, 1962 he came to the United States, where he took up residence in Elizabeth, New Jersey. During the mid 1970’s Mr. Ciesielski started working as an electrician for Clark Door Company in Cranford, New Jersey where he advanced to becoming a welder, as he continued to work there until the late 1980’s. Mr. Ciesielski then furthered his career as a welder working for White Storage & Retrieval in Kenilworth, New Jersey where he remained until his retirement in 1996. As a young man in Poland, Mr. Ciesielski was a sharp shooter in the Polish Army. After he immigrated to the United States, Mr. Ciesielski became an American citizen on March 24, 1981. Locally he was a member of the St. Joseph Club of St. Adalbert R. C. Church and a member and past officer of the Pulaski Day Parade Committee, both of Elizabeth, New Jersey. Mr. Ciesielski was an avid New York Yankee baseball fan and a New Jersey Devil’s hockey fan. He loved work search puzzles, as well as, jigsaw puzzles. Mr. Ciesielski also enjoyed his trips to Atlantic City. Mr. Ciesielski was predeceased by his wife, Maria Stach Ciesielska in 2013; his daughter, Barbara Ciesielski in 1959 and his two sisters, Maria Slezak and Genowefa Janusz. Mr. Ciesielski is survived by the family he cherished so, so much; his son, Stanley Ciesielski; his daughter, Mary C. Macierowski and her husband, Michael and his three grandchildren, Adam Ciesielski, Krystina Ciesielski and Mark Grzeda and his wife, Katherine.